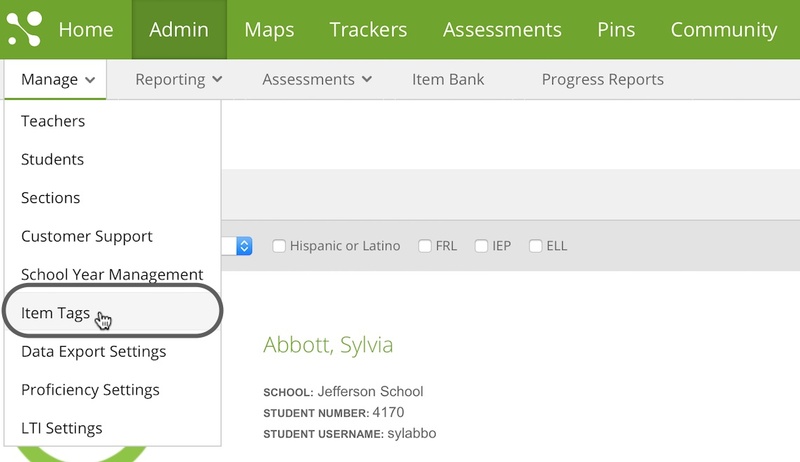 Click on Admin, hover over Manage, and then select on Item Tags. In the Create New Tag box, type the name of the tag that you want to add, and then click on Save to add it. The tag will now be available for use in your district. To delete an Item Tag, click the X on each tag that you want to delete. 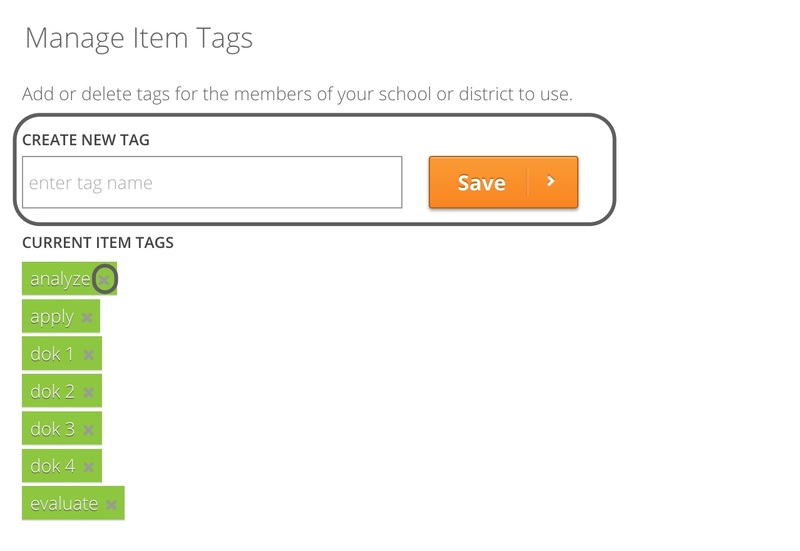 Deleted tags will no longer be available for use by your district.